Discussions between U.S. Soccer and New York Cosmos owner Rocco Commisso over his proposed $500-million investment in the NASL have stalled, with a Wednesday meeting between the two sides cancelled. Last month, Commisso wrote to new U.S. Soccer president Carlos Cordeiro with an offer to invest $500 million–including $250 million of his own personal fortune–into the NASL over the next 10 years. That offer came with several stipulations, however, including that the U.S. Soccer Federation allow the NASL 10 years to meet compliance as a Division II league. 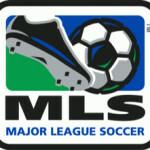 In addition, the federation would undertake measures to remove what Commisso perceives as conflicts of interest that boost MLS and USL–the latter of which played as a Division II league in 2017, and was deemed in compliance to maintain that status in 2018–to the detriment of the NASL. There have been a considerable number of questions surrounding the NASL’s future since the U.S. Soccer Federation announced last September that it would not grant the league Division II status for 2018. The NASL has suspended play for this season, and its remaining owners are pursuing an antitrust lawsuit against U.S. Soccer and MLS. In addition, the NASL is pursuing a case against certain USSF Board members for an alleged breach of fiduciary duty. Given the mismanagement that plagued the NASL in its later years, the USSF’s desire to see more of the fine print is understandable. That skepticism is equaled — and perhaps exceeded — by Commisso’s distrust of the USSF hierarchy, including elements of the Board with past or present ties to MLS and the USL. This includes MLS commissioner Don Garber, current Atlanta United technical director Carlos Bocanegra, former USSF president Sunil Gulati and North Carolina FC owner Steve Malik. 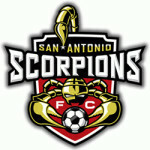 Malik in particular has drawn Commisso’s ire by moving his team from the NASL to the USL prior to this season. “We’re not going to present, give them hints, whatever, so they can turn around and present it to their friends — Gulati, Garber, Bocanegra — and all those other characters,” Commisso said. In a bid to bring the two sides to the table, Commisso requested that a subset of the USSF Board of Directors consisting of those members without ties to MLS or the USL be authorized to negotiate on the Board’s behalf. The problem with that approach is the aforementioned lawsuit in which the NASL is currently suing nearly every member of the USSF Board. Commisso insists that shouldn’t prevent the USSF Board from considering his proposal. The USSF has offered to have [USSF CEO and secretary general Dan] Flynn and two of the federation’s lawyers represent it at any meetings, as well as offering assurances that details of Commisso’s plan won’t be disseminated. It also offered to have a board member listen in on the meeting via telephone. That wasn’t good enough for Commisso, who felt that the USSF was backtracking on a pledge to include multiple board members. Commisso also wanted Cordeiro in attendance, but the USSF president has been preoccupied by the federation’s joint bid with Mexico and Canada to win the hosting rights for the 2026 World Cup. The NASL’s future is still very uncertain at this point. 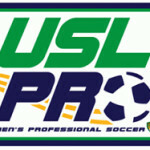 It suspended play for the 2018 season, while three of its remaining members–including the Cosmos, Jacksonville Armada FC, and Miami FC–are competing in the semi-pro National Premier Soccer League for 2018. For his part, Commisso has been vocal in his past criticisms of U.S. Soccer leadership. Last fall, he called for the resignation of U.S. Soccer president Sunil Gulati after the U.S. men’s team was eliminated from World Cup competition (Gulati later opted to not seek another term as president). He has also taken the USSF to task for other issues, including its decision to deny NASL Division II status while granting it to the USL and the agency’s relationship with MLS marketing arm Soccer United Marketing.